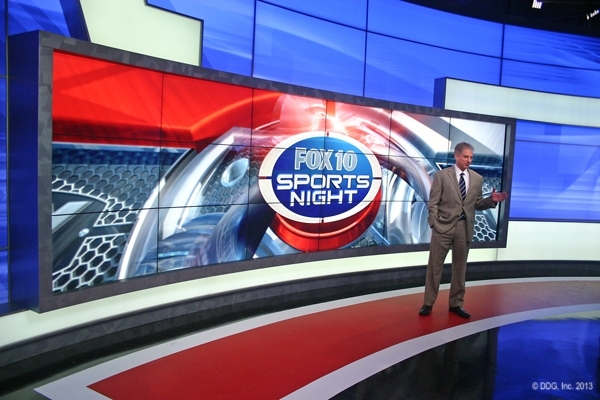 Set that debuted in September 2013. 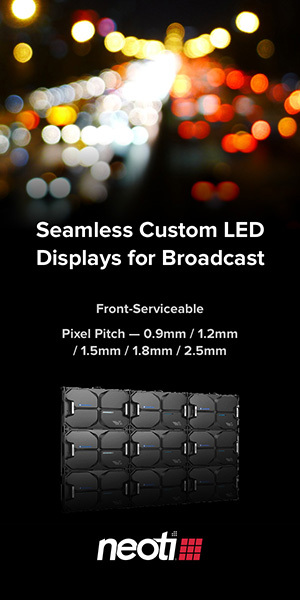 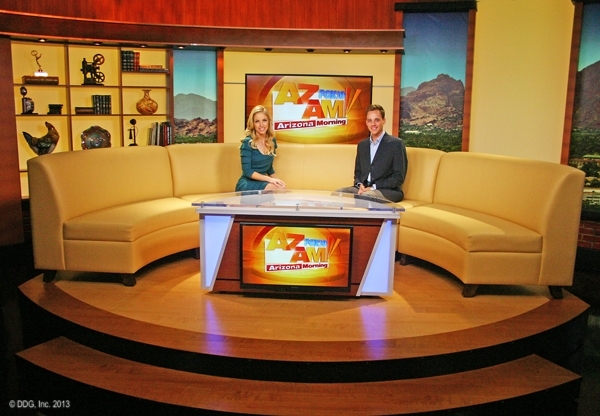 KSAZ-TV recently launched a new set that not only contains the latest cutting edge technology, but incredible story telling opportunities as well. 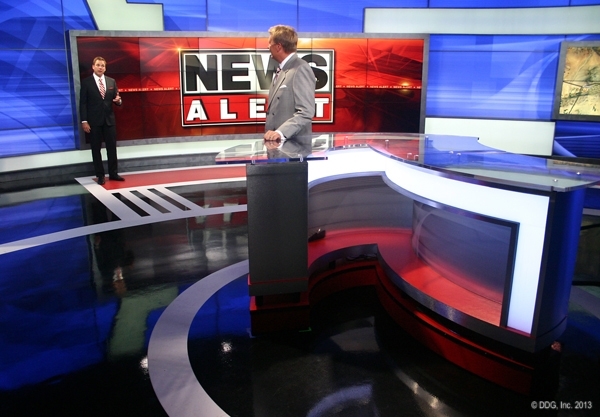 The set enables KSAZ-TV to deliver the news in an exciting, compelling, and dynamic environment. 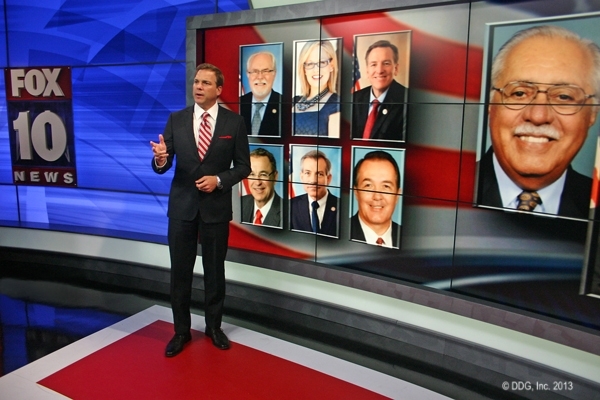 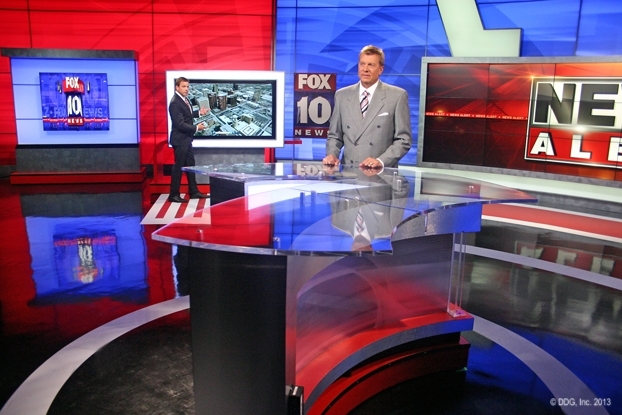 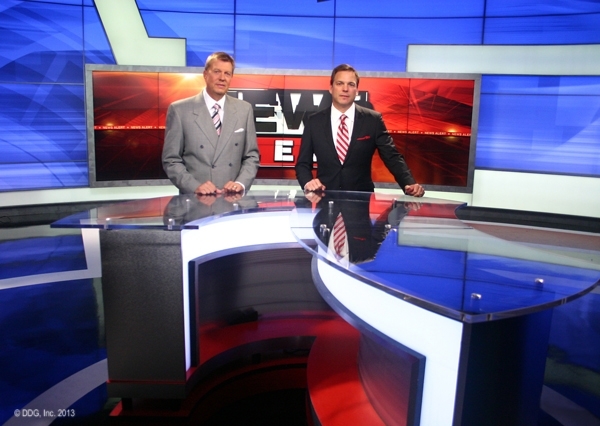 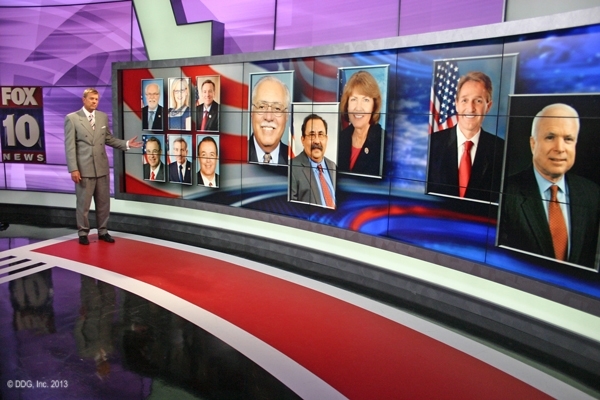 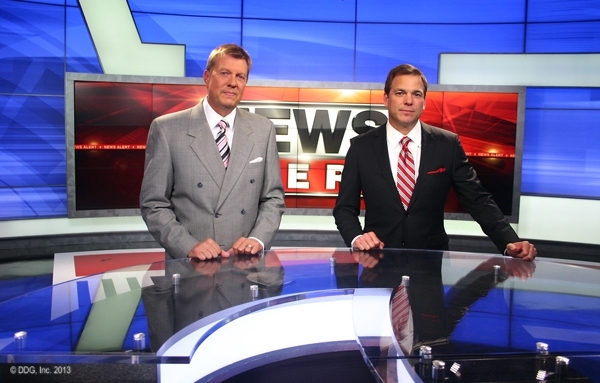 Anchors are no longer chained to a desk, but encouraged to move around the set to various story telling venues, adding an exciting visual energy to KSAZ-TV’s production value.